Any service provider will agree that besides money, time is another excellent resource that cannot be quantified concerning value. The worst thing about time is that once spent; it can't be recovered (ever!). For the service industry, every hour captured is an hour that is billed. Time tracking also allows you to identify the most profitable marketing projects you have worked on, especially for fixed-price projects. So how does a marketer invest their time wisely without being consumed by their tasks? The best solution is to invest in marketing time tracking tools. Numerous time tracking tools can also work for designers and agencies seamlessly. As stated, investing in marketing time tracking tools is one of the wisest investments a marketer can make. If you want to make the most of your time, you need to know how they are spent. Time tracking isn't the same as time policing. While time policing involves finding out how your staff or freelancers spend their time – and getting them to spend the time better, time tracking allows you to observe, quantify and come up with appropriate billing amounts that you will charge your clients. Ultimately, when investing in a marketing time tracking application, there are a few features that should not miss your attention. Freelancers usually handle most marketing tasks. Even freelancers hire other freelancers to assist with numerous functions. Thus, for a proper time tracking application, freelancer tracking should not miss out. The marketing time tracking tool should allow various permission levels where the project administrator can determine what projects or clients individual freelancers can see. The time tracking application should also allow the freelancers to enter their time directly without you incurring additional costs that don't make sense. 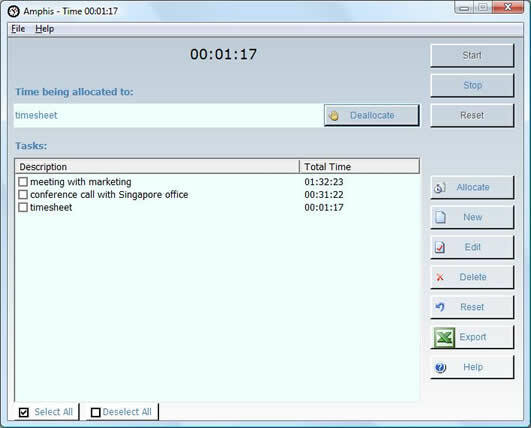 A reasonable time tracking software should also have budget tracking features. Budget tracking allows you to know which projects are profitable and which ones aren't. A time tracking application should have either an in-built invoicing tool or they should be able to integrate with your current invoicing tools. This feature is most important for projects that are billed by the hour. This tool allows you to simplify your billing workflow tremendously, saving you more time and energy you can invest in other tasks. While the time tracking tool may not come with an in-built project management tool, it should integrate seamlessly with the current project management software. This capability saves you the time you could spend copying your projects, tasks, and personnel across applications (copying also increases the likelihood of making mistakes so you will save yourself a headache as well). Time tracking seems like a tedious task, but as a marketer, it is one of the best avenues you can use to gauge your performance regarding output. As stated, an hour captured is an hour billed. Thus, unless you can account for how the hours are spent, you will have a hard time knowing how to improve your performance. Time tracking makes you aware of the most profitable projects, and also the most costly ones. You will gain insight into the tasks that consume your time without bringing in real value. Tracking your time also allows you to focus on the task at hand. Time tracking ensures you don't waste time jumping from one half-finished task to another. You will even know which duties can be split into smaller manageable tasks or which tasks will need more of your attention. As shown by the features listed above, proper time tracking tools also come with other built-in tools that will help simplify the way you handle your projects. For example, a marketing time tracking software with a billing tool will help save the time you could have spent analyzing the project workflow to determine how much should be charged to the client.